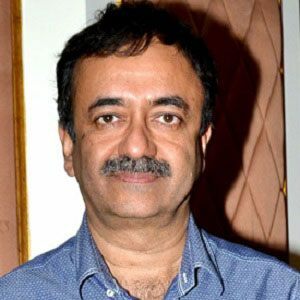 Famous for directing 3 Idiots, Munna Bhai MBBS, PK, and several other hit Hindi comedy movies, Hirani received numerous Filmfare, Zee Cine, and IIFA awards for his work. Before beginning his career as a director, he worked as both a film editor and an advertising executive. His directorial debut, Munna Bhai MBBS (released in 2003), quickly attained cult classic status. His extraterrestrial-themed, satirical movie, PK, was, at the time of its 2014 release, the most financially successful film in the history of Indian cinema. Born to a family of Sindhi heritage, Hirani spent his early years in Nagpur, India. His marriage to Manjeet Hirani resulted in a child named Vir Hirani. His 2006 comedy movie, Lage Raho Munna Bhai, starred Sanjay Dutt and won two National Film Awards; a Filmfare Critics Award; a Bollywood Movie Award; two IIFA Awards; three Star Screen Awards; three Zee Cine Awards; and numerous other honors.